Staffed by caring and attentive professionals, The Grove at Valhalla provides familiar, all-embracing care in a welcoming home-like environment. 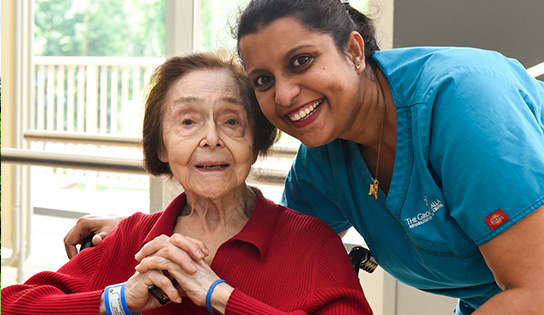 Residents are assured 24-hour skilled nursing care, as well as that all of their needs are met with warmth, dignity and respect. Our individualized care plans are designed to realize the full potential of each resident. We pride ourselves on enhancing our residents’ quality of life, and provide an array of opportunities for recreation and socialization.